View Poll Results: Who is your favourite Spider-Man villain? 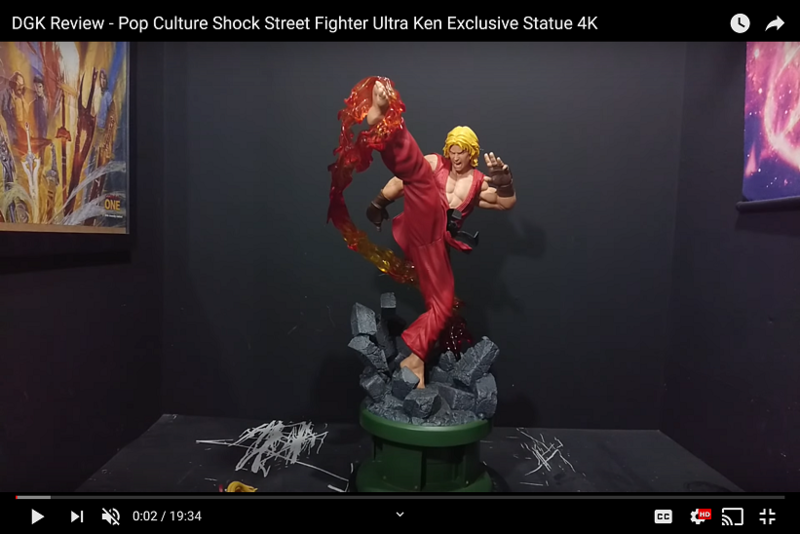 Check out the video review I put together for this statue HERE. I will add a brief write up on the piece shortly. I'd be lying if I tried to tell you that this piece had a fantastic sculpt. That said, Venom is fairly well done, notably the mouth. There are spaces and gaps along the cheeks, allowing you to see through to the other side...a pretty cool feature. I personally dig the old-school Venom look. It reminds me of Mark Bagley artwork from when I was a kid...you don't see Venom depicted this way often anymore. The symbiote suit has texture throughout, giving it that alien look. The Spider-Man sculpt; however, is not the greatest. I find that the upper body looks a little undersized compared to the lower body. The head is less "spherical" looking in person, but it still has a bit of an odd shape. The feet are rather elongated and pointy...a very old-school comic look...so, I suppose that is a matter of taste. The web lines on the suit are also much thicker than you normally see on Spidey statues. The logos on both characters are raised slightly. I only point this out as typically they seem to be flush with the rest of the suit. It doesn't look bad, just different than most Spidey/Venom statues that I have seen. I do really like the noticeable size differential between the two characters. Spidey really looks like he is facing off against a much larger, much more powerful villain. The base is nice. It doesn't have a ton of detail, but it is a nice, clean sculpt. Paint on the piece is solid, but nothing that will leave your mind blown. Venom has a nice blue undertone. The colours used on Spider-Man are very bright and vibrant...although there is not much shading there to bring out the muscles. As with most Spider-Man statues, the factory had a bit of trouble with the web lines on the suit, with some black paint appearing outside the lines. Overall, a pretty decent paint job. Here is where this statue really shines. Whatever it lacks in realistic sculpted detail, it makes up for with an outstanding action pose. Spider-Man really does look suspended in mid-air as the two combatants clash on a building ledge. There is just a "coolness" factor to this statue, and it stems from the dynamic interaction between hero and villain. Being my first statue from Iron Studios, I wasn't sure what to expect when it arrived. I was pleasantly surprised, however, to find that the pieces felt solid and high quality. The base is heavy and sturdy...little risk of toppling over here. Venom fits into the base with a metal peg under one of his feet, while the other foot fits onto a keyed slot. A metal peg is incorporated into Spider-Man's knee, and the peg fits into a slot on Venom's elbow. All of the pieces fir together snugly and flush. The web line is actually made of a flexible plastic material...I was concerned that it would be very fragile, but that is not the case. I am impressed with the build quality of the piece. Overall, I am pleased with the statue. As mentioned, the sculpt could use some work in order to catch up to the lofty standards set by industry competition. But, there is a level of creativity here that must be applauded. The statue commands a presence with its highly dynamic battle scene, and will look great in any collection. Thanks for sharing these incredible pictures with us; as usual they are nothing short of being utterly fantastic and mindblowing. I will check out your video right away! Thanks, Rainer, I appreciate the kind words. I have added a brief write-up to the first post, but please do check out the video as we are trying to grow the YouTube channel. Also, for anyone who voted "Other" on the favourite villain poll at the top...please chime in and tell us who your favourite Spidey villain is! 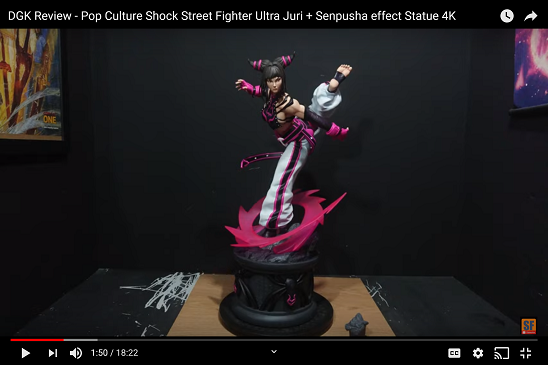 Nice review Bmutha, how much was this statue all up shipped may I ask? YES! MANDE IN BRAZIL!... Ok... China... But it is a brazilian company.